There's a perfectly good reason to add shampoo to your regimen. 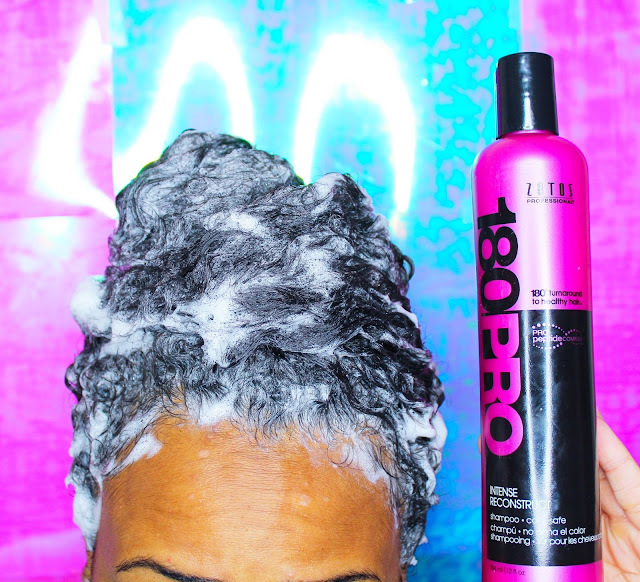 Over the years, you've been given a bad rep. What started out as us just wanting to do right by our natural hair, has morphed into this anti-sulfate campaign that's got the facts all twisted and distorted - while lining the coffers of some folks looking to make a buck off the movement. Let's be honest though - you're not completely blameless in all of this, sulfates. Back in the mid to late 2000s, you were a tough pill to swallow. You were in all kinds of products not formulated for our hair, and we didn't have a lot of options. You backed us into a corner, and triggered that fight-or-flight response. We assailed you with full steam - accusing you of causing cancer, damaging and drying out our hair and scalps, and even causing unsightly frizz and breakage. Not only did we attack you sulfates, but we abandoned you completely in favor of co-washes, clay masks, and apple cider vinegar. Heck, we even inspired everyone and their mama to create shampoos and cleansers specifically avoiding you like fruitcake at Christmas. But the truth is, sulfates - we were wrong. Well, kinda wrong. You don't cause cancer - we conflated your issues with those of parabens. You very well may damage our hair, but so does water. And sunlight. And combing. Protein loss is protein loss, and you're not squarely to blame here. And sure, our curls may feel a little dry after using you - but that's really just the hallmark of your effectiveness in removing dirt, oil, debris, and product buildup. In all honesty, we shouldn't have expected for our hair to feel the same way it would after co-washing when using you. That was foolish of us, and unfair to you. I for one, would like to apologize for my role in tarnishing your name. It's my fault for not fully recognizing that things, much like people, have the ability to change and grow. You've found yourself a new life in more cutting-edge formulas that mitigate some of the things we didn't like about you back in the day - like that dry, crispy feeling and frizz, for starters. You've even got the nerve to be in some shampoos that have slip. Slip! Sooo yeah... my bad, dawg. We cool now? I'm seriously crushing on this shampoo...and not just because the bottle is cute! Guys, sulfates aren't the enemy. In fact, they can be a friend and your bridge over troubled water when it comes to a healthy scalp and hair. I used to make a regular habit of shampooing with sulfates - especially when reverting back from straight hair. But somewhere along the way, I stopped and got swept up into the sulfate-free hype. Now, I'm not saying that sulfate-free shampoos are bad and I'm going to stop using them. What I'm saying is that there's a valuable place in a healthy hair and scalp regimen for both. If you've been dealing with itchy scalp or dry hair, this may seem counterintuitive - but grab a SLS-containing shampoo. But if you still need convincing, click here to read the truth about sulfates. 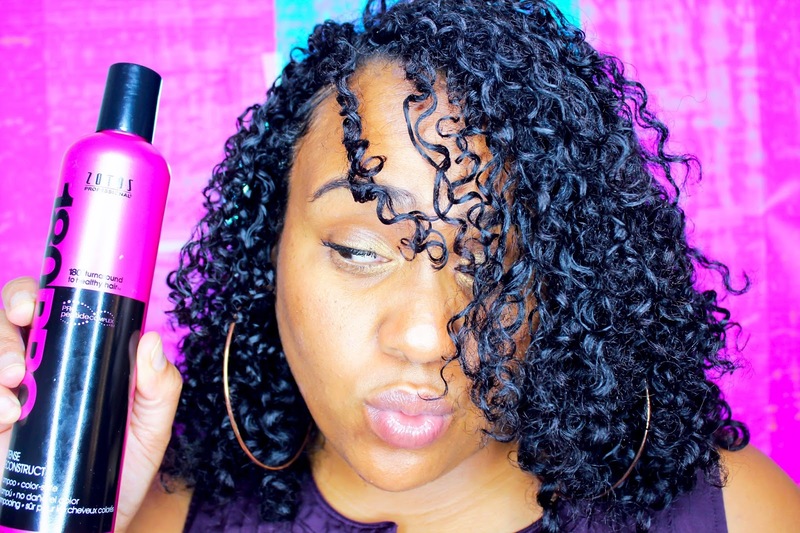 Have you had any revelations around using sulfates in your regimen? Let's chat below! I am right there with you Christina! I recently had a revelation about sulfates. Wile I clarify every 4 weeks or so with a sulfate shampoo, I've added another sulfate shampoo to my regimen and haven't experienced any negative effects. In fact I think my hair is thriving even more than it was before. All sulfates aren't bad and can be used regularly or in moderation. EXAAAACTLY! Thank you for sharing Leah! I've been using sulfate shampoo for about 3 months now. My hair stopped responding to conditioner and didn't feel clean. My hair was really dry. Now I don't have those problems anymore and shampoo weekly. I'm still dying over "Love, Peace, & Clarifying 4-6 weeks"!!! Christina you're too hilarious! And yeah, I went back to using a sulfate shampoo back in 2015 when my hair got too gunked up from constant clay washing. LOL! I just try to tell the truth. And I feel ya - I love my clay as much as the next natural, but there's a time and place for everything! Interesting... Where do sulfates come from? Are they natural occurring? Not at all! Lol. Straight up laboratory status! This was great... your closing got me! LOL! I have definitely stepped away from sulfates but I do see the benefit (and have mentioned it on the blog) of sulfate shampoos where necessary. Folks don't realize life ain't all about co-washing! Awesome letter! Thank you love! And say that last part for the folks in the back who didn't hear you because they were too busy scratching their scalp from excessive co-washing! LOL!